Jason Bausch took a GIANT 403″ OFFICIAL Gross scoring Boone & Crockett and Pope & Young Arizona Bull Elk will us this past season. This is what this GIANT looked like back at camped after being field dressed and caped. 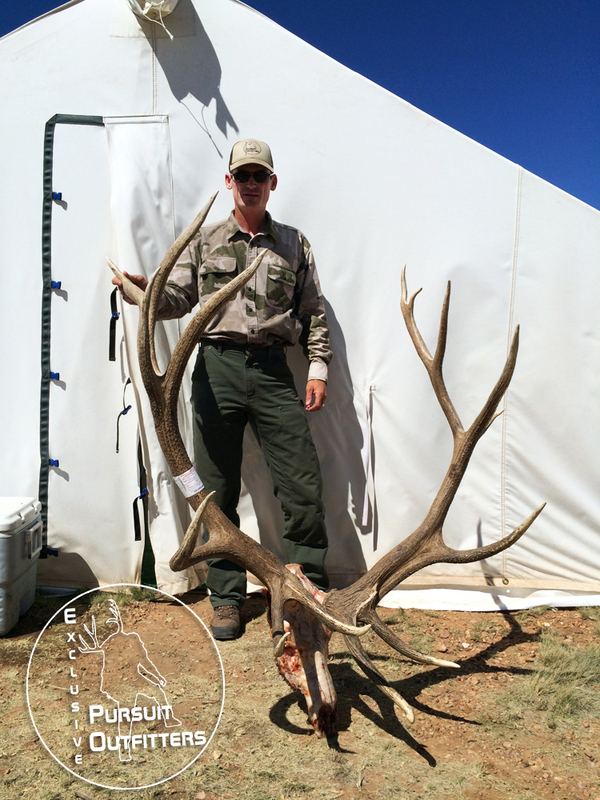 A giant Arizona Archery Bull Elk taken in 2014 with Exclusive Pursuit Outfitters. 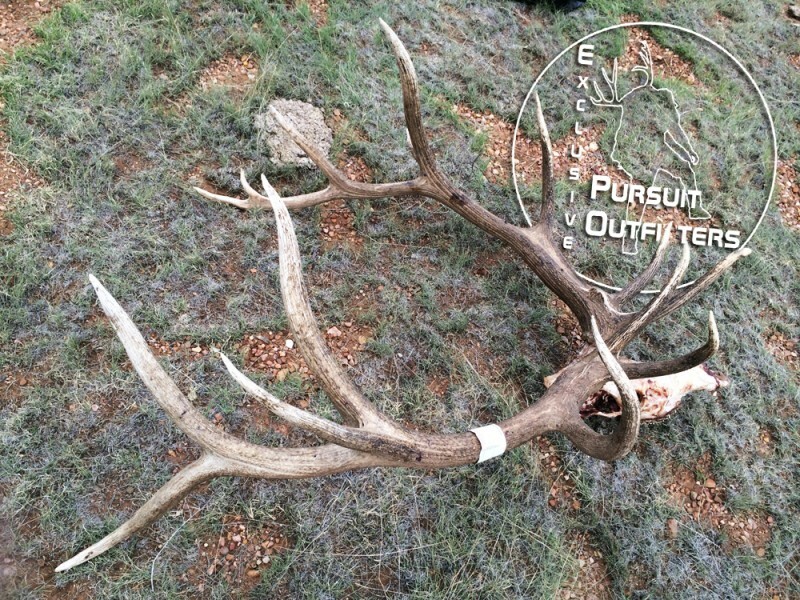 The right side view of a 400 inch Arizona Unit 10 Archery Bull Elk taken with Exclusive Pursuit Outfitters. Exclusive Pursuit Outfitters’ guide, Logan Anderson, posing with this 400 massive Arizona Archery Bull Elk. This type of trophy is rare, but it’s what we all dream about and crave pursuing as elite Arizona Elk Outfitters. 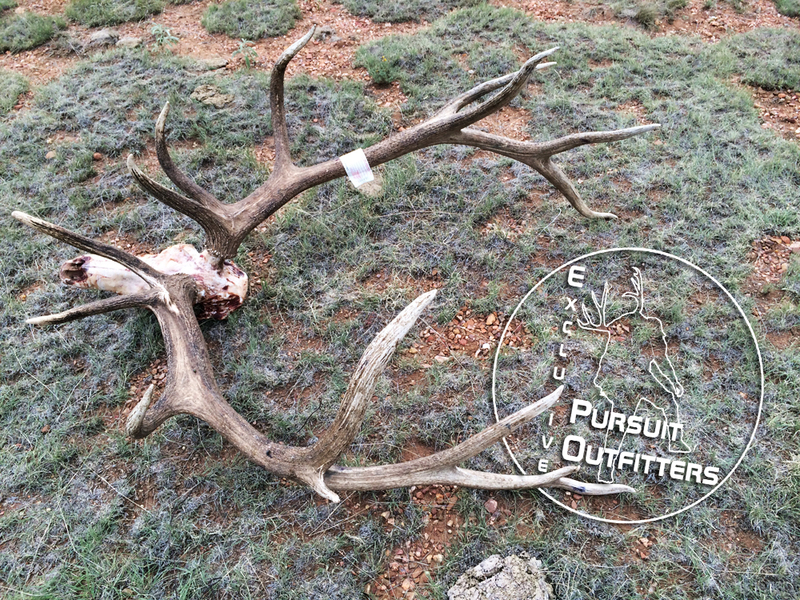 Exclusive Pursuit Outfitters, LLC hasn’t been around for as long as some Arizona Elk Outfitters, but we have been elk hunting and guiding in Arizona for quiet sometime. 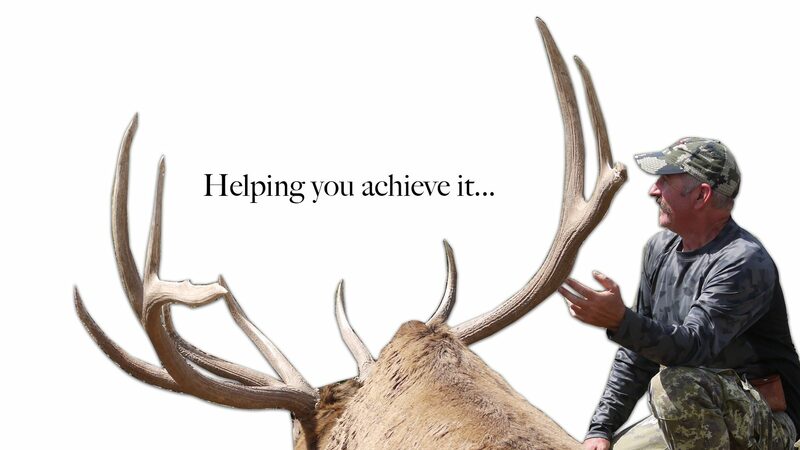 We continue to be one of Arizona’s best Arizona Elk Outfitters, because we know elk hunting and we work our butts off to help our limited number of elk hunting clients. For more on Arizona Elk Hunting Click Here!